There are about 21000 schools (SSC) and 7000 (HSC) Higher Sec. Schools / Jr. Colleges in the entire state. Every Year, around 14 Lakh HSC students and 17 Lakh SSC students appear in the examination. 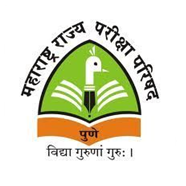 Maharashtra Board 12th standard syllabus is now available for students to download. Click here to download for free. askIITians offers solved Maharashtra Board class 12 previous years’ question papers  as well as solved sample papers absolutely free. Maharashtra Board class 12 board guess papers offered by us are designed by the academic experts with years of online teaching experience. Maharashtra Board HSC result 2018 will be declared on May, 2018. Students can check their result online at the official website. Give yourself enough time to study: Last minute study is never fruitful. Hence never relay on it. Set out a timetable for your study and adhere to it strictly. You may feel like devoting more hours to some subjects / exams and hence you must organize your schedule as per your requirements. Use bullets, flow charts and diagrams: Use of bullets, flow charts and diagrams can be really helpful while revising. Apply the same while writing your papers. This can fetch you good marks in your exam. Practice Past Papers: One of the most effective ways to prepare for exams is to practice past year papers. Past papers help you in getting acquainted with the trend of questions asked in exam and also help you learn time management skills. Take regular breaks: While you may think that studying for long hours can be fruitful, this can actually be counterproductive. Hence, taking regular breaks can prove beneficial. Plan your exam day: Make sure you get everything ready well in advance. Never leave anything for the final day. Plan your exam day properly to escape any hassle and bustle. Exercise: Excessive study pressure can be harmful. Therefore, include exercise, proper sleep & leisure in your daily routine apart from studying.